Another exciting find in Jakarta is its surrounding area. Lately, I have been going to Sentul or Bogor in the weekend for some outdoor activities. 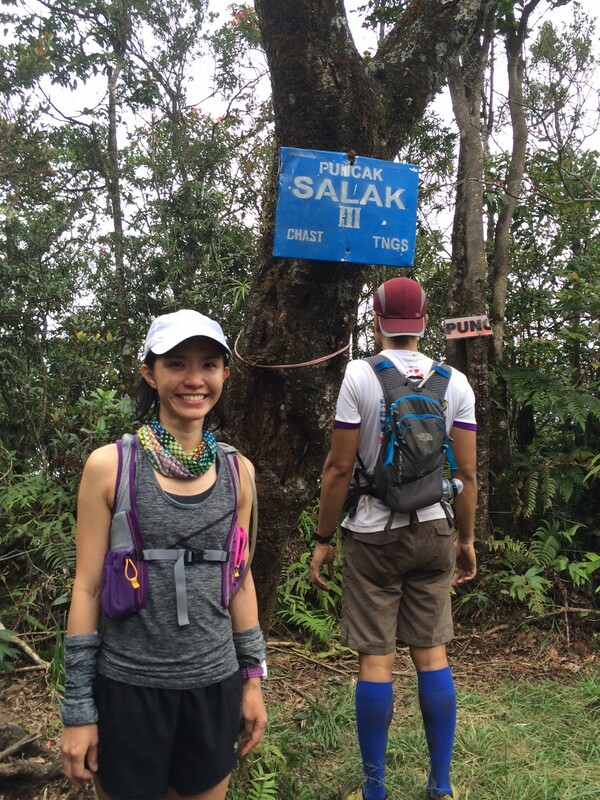 End of August 2014, a friend asked me to join an activity organized by both Sentul Ultra Trail Running Academy and Trail Maniak to do a trail-run to Gunung Salak. 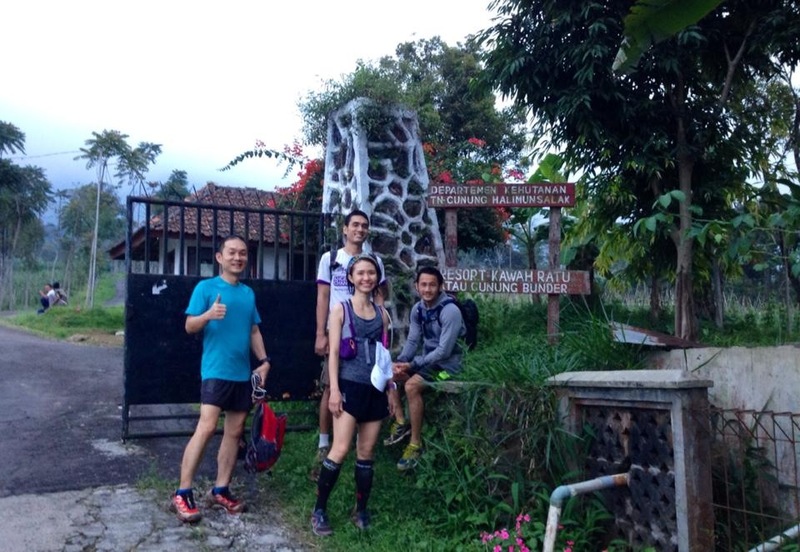 A group of 10 runners started the trip in Bogor, which is around an-hour drive from Jakarta, at 6am. We waited a while for the angkot (small public pick-up chartered for our group) to pick us up. 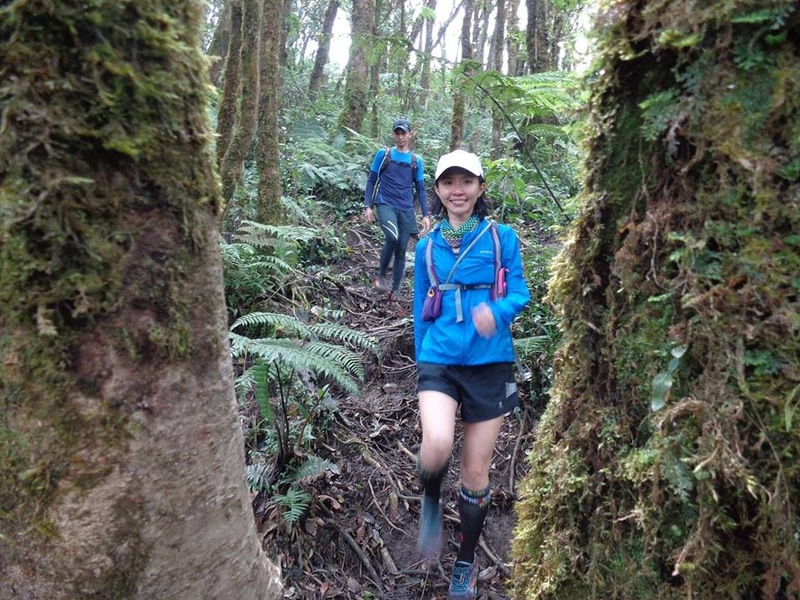 It took us only around 30-minutes from Bogor to the start of the trail, which is at altitude of 900m above sea level. Then at our own pace, we climbed the mountain to its first peak, Puncak Salak 4, at altitude of 2,020m above sea level, which took us around 1-1.5 hours depending on the pace. From there, we just followed the small undulating path along the peak to the next 3 peaks, which is Puncak Impressa, Puncak Salak 3, and finally Puncak Salak 1 at 2,211m above sea level. The path is quite clearly marked although we had to be extra careful as there are cliffs on both left and right side. The mountain is always surrounded by mist as well which to my opinion adds its surrounding beauty and mystery. But it is a mountain that is known to be a little scary and mystical. There is a small tomb of Ki Salak on the summit of Salak 1, which we think is actually empty but some locals frequent for praying. Hiking here is actually walking through a tropical rainforest. 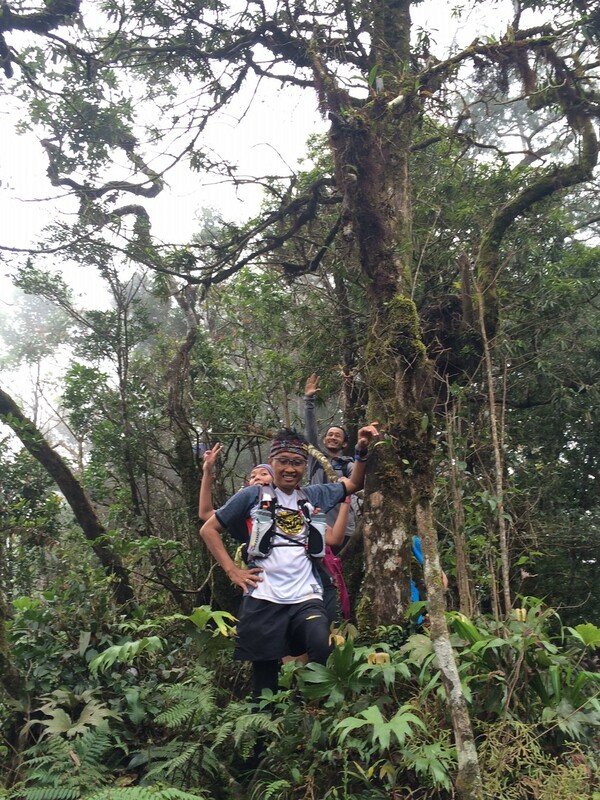 A fellow hiker claimed that he saw a macan kumbang (panther) up on the trees while we were hiking. Any nature lover living in Jakarta should consider a trip to Gunung Salak as climbing here is really fun because: 1). 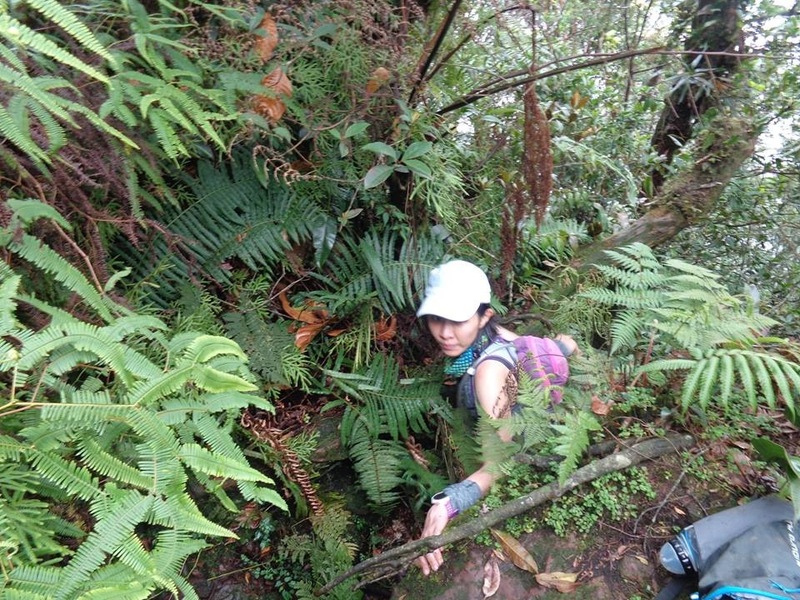 you rarely meet any other hikers especially if you take the same route as us which starts at Sukamantri. 2). 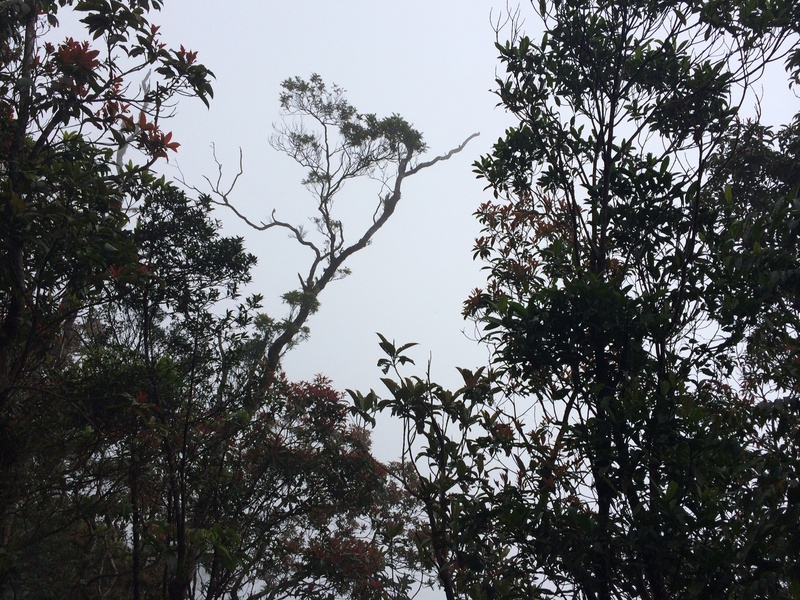 you barely feel the sun as you will hike into the forest and surrounded by mist, 3). it is fairly an easy day-trip from Jakarta that can be done within 4-5 hours time if you are fit. The cons of hiking Gunung Salak are: 1). There is no fresh water supply along the route, 2). There is barely any views you can see from all the peaks as they are always surrounded by mist, 3). 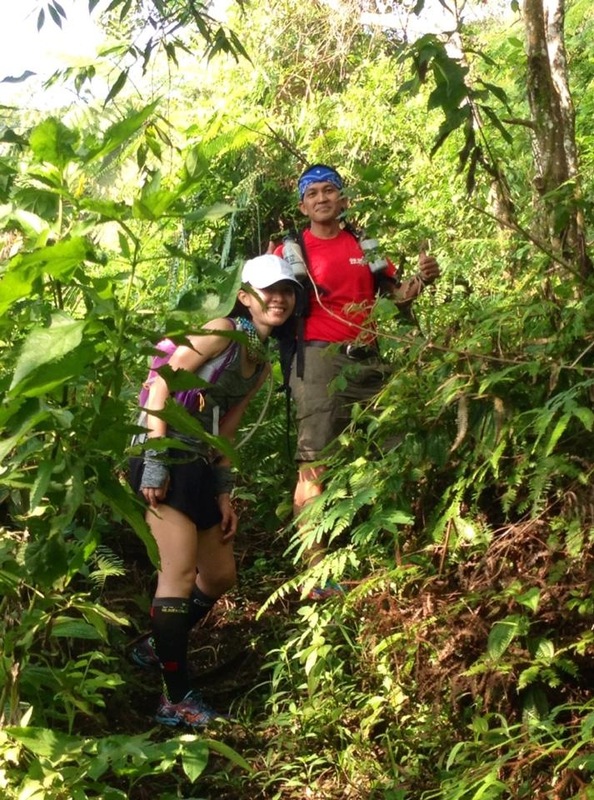 The route gets quite muddy and slippery while hiking/running down especially during the rainy season – wear proper trail shoes and prepare to get dirty. 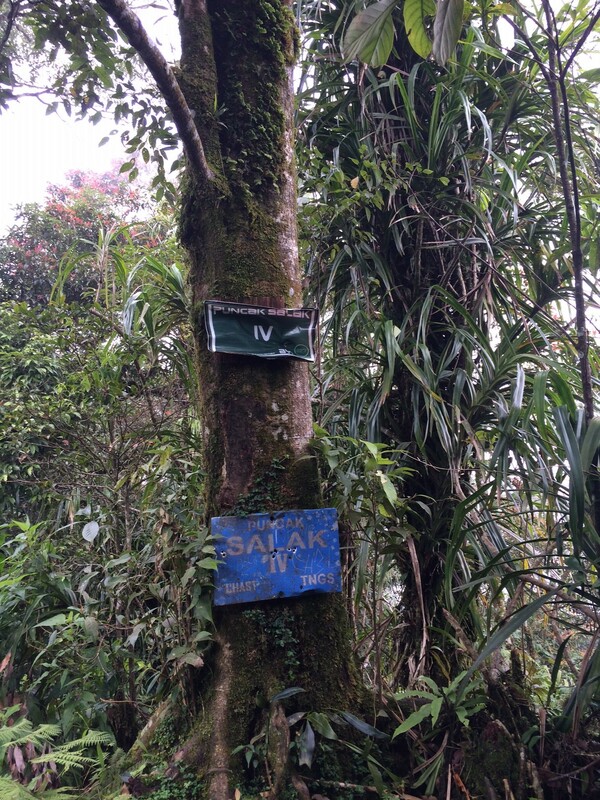 Total time: To reach the final peak – Salak 1, it will take around 2-3 hours depending on fitness. It will take around 2 hours to walk/run down through Cimelati route, which ends in Sukabumi. Cimelati route is an easier route since it is wider and very well-marked. You will also encounter more hikers on this route. It will take you around 2 hours by public transport to go back to Bogor. 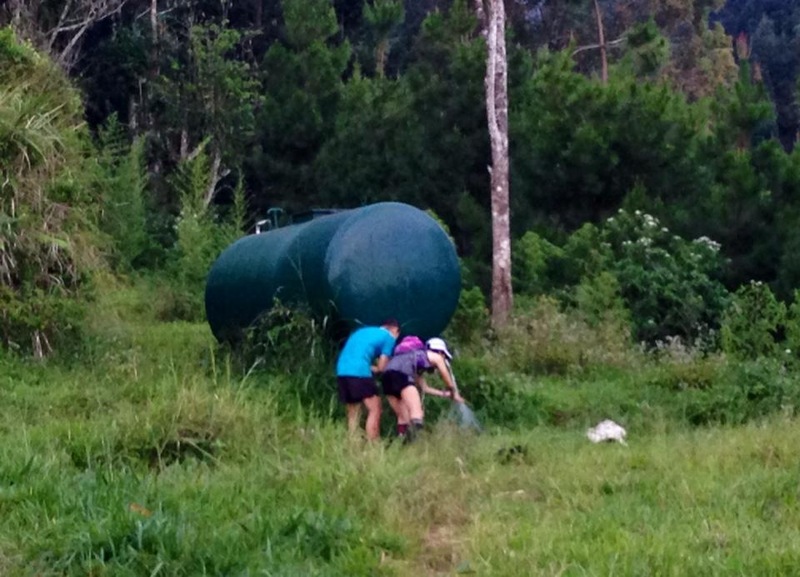 This entry was posted in Hiking, Jakarta, Running, Travel and tagged beautiful_indonesia, bogor, fun_weekend, gunung_salak, indo_mountain, indo_trail_run, indo_travel, mountains, mountsalak, trail_running, travel. Bookmark the permalink. wow…usually people hike to this mount with full army. i mean with full of tools for hike, esp carrier, tent etc. I just barely know we can hike just for one day trip. Very interesting, someday I will hike it to. Yes, it is actually very possible to hike up and down. Just need to make sure that you start early enough and in good condition. 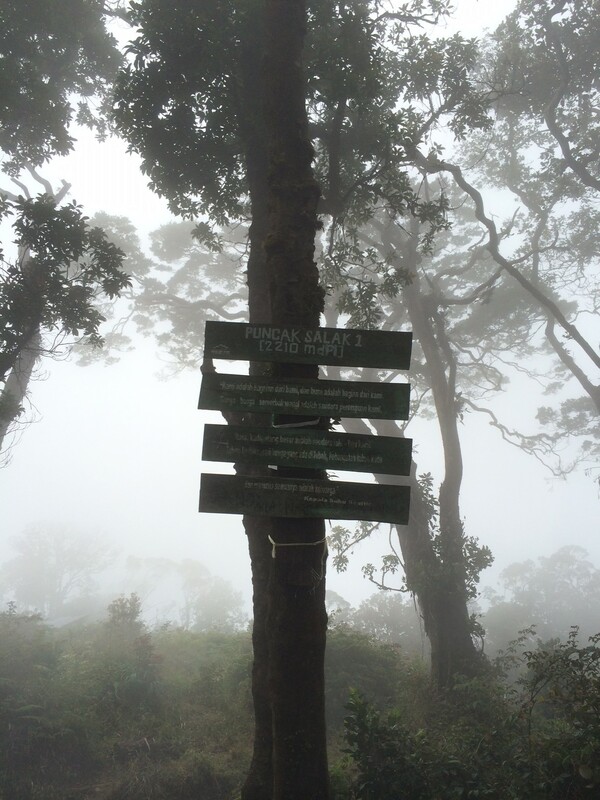 I will do a post on a day-hike to Mt Pangrango too. It was even more fun. its really amazing you cross the Salak’s Saddle in just hours. usually we need days to do that with full equipment. 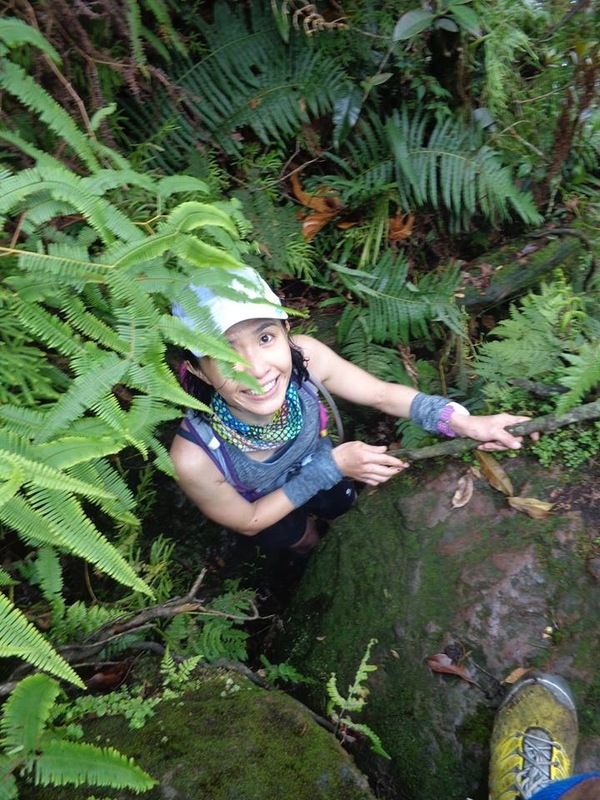 because the trail is barely unseen, especially in rainy season. by the way, great story! Thank you Dimas. Ya, we only carried 2litre of water and really small pack so we can move fast. It must be a good training to carry the big pack up the mountain.